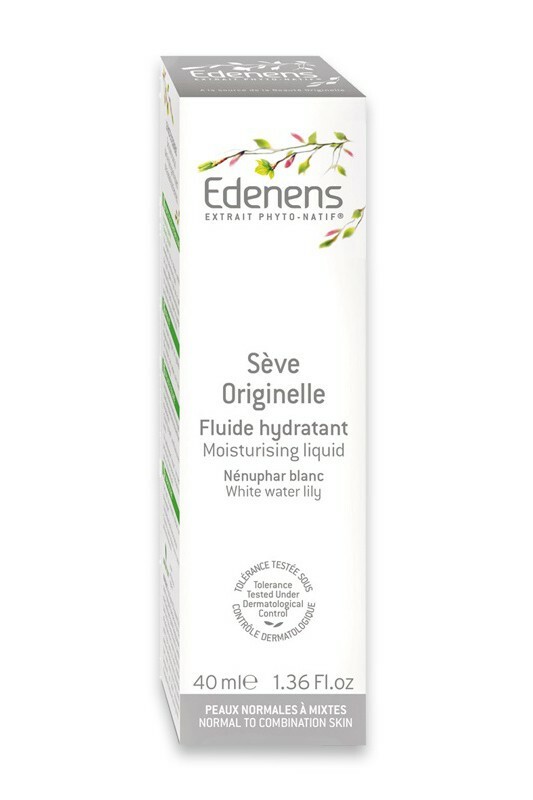 Edenens Moisturizing Face Lotion Sève Originelle moisturizes* and matifies normal to combination skins with an exquisite soft sensation and a velvet finish, thanks to the water retention power of White Water Lily. Its light texture melts instantly leaving a fresh veil on your skin. Made with matifying powder and Apricot Oil, Edenens Moisturizing Face Lotion Sève Originelle gives you an instant matte and glowing complexion. Phyto-Native Extract feeds skin cells with essential nutriments : peptids, amino acids, minerals... Skin tolerance tested under dermatologist control. Contains powders with a matte finish. Non-comedogenic. 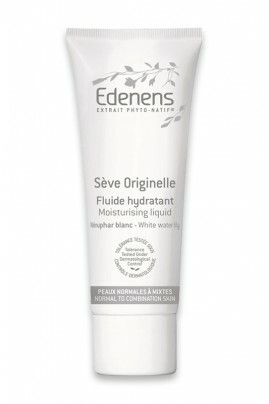 Apply Edenens Moisturizing Face Lotion Sève Originelle day and night on perfectly cleaned face and neck. Aqua, Caprylic/Capric Triglyceride, Polyglyceryl-6 Distearate, Methyl Methacrylate Crosspolymer, Glycerin, Prunus Armeniaca Kernel Oil, Microcrystalline Cellulose, Cellulose Gum, Helianthus Annuus Seed Oil, Nymphea Alba Flower Extract, Hydrolyzed Soy Protein, Fagus Sylvatica Bud Extract, Onopordum Acanthium Flower/Leaf/Stem Extract, Cetyl Alcohol, Alcohol, Parfum, Benzyl Alcohol, Sodium Dehydroacetate, Dehydroacetic Acid, Sodium Benzoate, Phenoxyethanol, Benzoic Acid, Tocopherol, Citric Acid.